Are you the spouse of a Catholic who has perhaps been attending Mass at the Church of the Madalene for many years, feeling quite Catholic in many ways, but just never having formalized it? Are you interested in completing that relationship by formally making a profession of faith, being confirmed and taking an active part at the Eucharistic table? The year(s) long catechumenate process may not be needed for everyone. If you are interested in discussing further how you might complete your initiation into the Catholic faith, please call the Parish Office at 918-744-0023. "R.C.I.A." 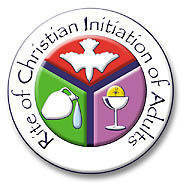 is an acronym for Rite of Christian Initiation of Adults. The process here at Church of the Madalene is designed to give all inquirers to the Catholic Church an opportunity to explore its teachings, ask questions, discern whether or not it is their desire to become members of the Catholic Church. FOR WHOM IS RCIA INTENDED? It is for you or someone you know who has ever expressed an interest in becoming Catholic; has a child over the age of seven who has not been baptized; has been baptized Catholic but never celebrated the Sacraments of Confirmation and Eucharist. We offer an opportunity to come together in a small group to learn more about our faith. 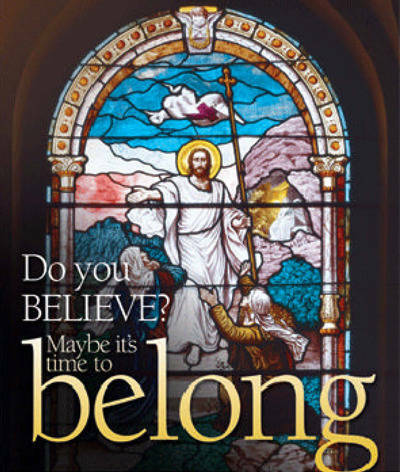 Focus is on the teachings and experience of Church and prepare individuals to celebrate the Sacraments of Baptism, Confirmation and Eucharist during the Easter season. There are separate sessions for children. You are welcome to participate in the process with your questions, insights, and your faith story in a warm and accepting setting. Please note the contact information above. We look forward to hearing from you! Following the celebration of the Rite of Acceptance, each Sunday Catechumens and Candidates attend Mass with the church community and after the proclamation of scripture and homily are dismissed to reflect deeper on the scripture and prayer and their meanings to discipleship. It is a time for sharing of the Gospel taken from the Sunday Liturgy of the Word. Understand differences as well similarities in Catholic and other Christian denominations' practices and beliefs. Experience the beginnings of the spiritual life and the fundamentals of Catholic Christian teachings. Manifest this initial conversion with sincere intention to change their lives and enter into a relationship with God in Christ. Develop the practice of calling upon God in prayer, a sense of Church, and some experience of the company and spirit of Catholic Christians through contact with members of the community. Commitment: There is definitely a long-term commitment to the RCIA process. The duration of the individual's faith journey can be as long as a year or more. Inquirers/Candidates/Catechumens: Participants will be expected to attend all RCIA sessions as scheduled, usually bi-weekly early in the process, and weekly after the first months. Attendance at Sunday Mass is strongly encouraged as our Sacred Liturgy (the Mass) is a very basic requirement of all Catholics and is the most fundamental way to come to know what it means to be a Catholic. Become involved as much as possible in the life of the parish. Attend all retreats and rites. Sponsors: Each Inquirer will be assigned a Parish Sponsor to accompany them throughout the RCIA process. When the candidate or catechumen prepares for the Rite of Election it is time to designate a Sacramental Sponsor for Confirmation which may or may not be their Parish Sponsor. Unbaptized catechumens also need to name their baptismal godparent(s), again which may or may not be their Parish Sponsor. Sponsors are expected to attend all RCIA sessions (and always sit with their candidate or catechumen), retreats and rites (once they are assigned a Candidate or Catechumen). Sponsors are expected to accompany their candidate or catechumen to Sunday Mass, invite them to parish events, and spend time getting to know their candidate by inviting them to lunch or coffee or even a sporting or other entertainment event. We hope sponsors will be creative and proactive in their new relationship with a candidate or catechumen. Each stage of the process is introduced by a specific rite: Rite of Acceptance/Rite of Welcoming; Rite of Election/Rite of Continuing Conversion; and the Easter Sacraments of Initiation/Reception into the Church. After the first rite, the Rite of Acceptance/Rite of Welcoming, the Candidates and Catechumen participate in Sunday Mass with a 30 minute Reflection on Scripture, sometimes called "Breaking Open of the Word" to more fully flesh out the implications or teachings from the Mass Readings, the Gospel and the homily for their lives. Breaking Open continues until one week before Reception into the Church. Two Saturday day-long retreats are planned for the inquirers, one in the fall and one in late winter or early spring. These are special days of prayer and reflection to enhance the relationship between the elect, candidates and sponsors, and to assist in the ongoing discernment process. Discernment. Interviews are offered for everyone who is inquiring into the Catholic Church. These interviews may be initiated by the candidates or requested by the RCIA Director. These discernment interviews are opportunities for one-on-one discussions with the pastor, the deacon, the director or another RCIA team member to enhance the candidate's RCIA experience and to offer assistance with any difficulties they may be experiencing or answer questions yet unanswered.